The restaurant business isn’t easy. Building a profitable beverage program can be especially tricky, given the resources (or lack thereof) that many of us are given. Whether it’s a lack of time, money, or just helping hands, there’s no shortage of obstacles to building the ‘perfect’ bar. However, that doesn’t mean you need to compromise on the end result. Taking your bar program from ‘good’ to ‘incredible’ doesn’t have to mean expanding your inventory. Instead of offering twenty different mid-level whiskeys, look at bringing in just five or six incredible options. Bring in those truly special products -- things that will keep your guests thinking about the drink they had at your bar. In fact, research shows that customers are 10 times more likely to make a purchase when they are presented with fewer than six options. The desire for variety falls to the wayside when presented with something truly special. Instead of bringing in pre-made syrups, try partnering up with the kitchen to create mixers and syrups in-house. Everything from orgeat to cola syrup can be made from scratch in a commercial kitchen, and the results can absolutely outshine any pre-made product. As well, your guests will understand and appreciate the work you do when they see a row of house-made mixers and syrups lining your bar. We’d suggest trying to take that culinary approach to your drinks -- be creative, and work with what you’ve got. Being limited doesn’t mean your drink has to feel limited. The last thing we need to be doing is providing our guests with something they can reproduce at home. If we serve drinks that our patrons can easily recreate, we’re missing the opportunity to create repeat visits and regulars. And as we all know, regulars mean dollars. They spread the good word, and they spend more often. We shouldn’t create a craving for ‘an Old Fashioned’ -- we should create the customer need for specifically ‘your Old Fashioned’. So for example, when you make an Old Fashioned, the Whiskey is often regarded as the frontman. And while that’s relatively true, your other instruments are every bit as important. The bitters, the sugar cube, even the ice, and the glass in which it all comes together...they’re the Beatles to your John Lennon. Look for components that your patrons can’t find at the local grocery store. If you don’t have the time to hand-make all your mixers, seek out craft products. Find something better than Maraschinos, Angostura, and Domino Brand. 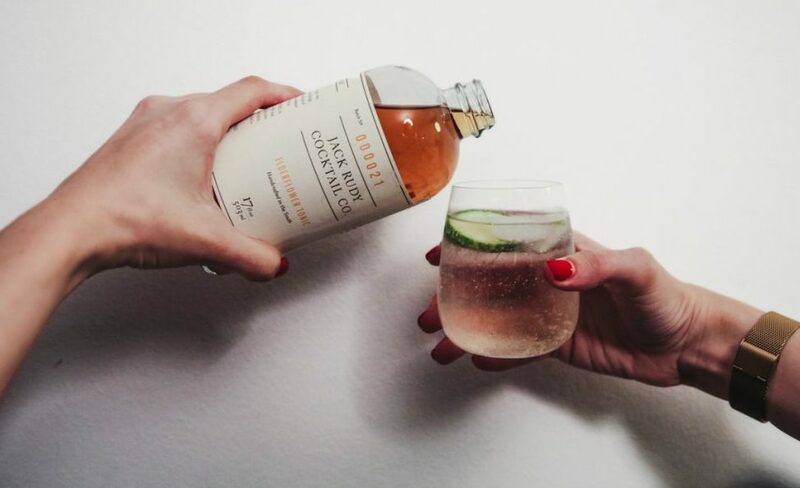 There exists perfect alternatives to the supermarket brands, made by people who love cocktails. Some of our favorites? Look for Jack Rudy Cocktail Company, 18.21, and Bittermilk. Don’t be afraid to ask your sales rep for a few suggestions and request samples; that’s what they’re here for! See what works best for your drink, and find the perfect combination of incredible ingredients. A tight, curated beer list is a fantastic place to bring new products to your guests while still keeping things pared down. As professionals, we have access to what is basically a dream-list of beers. Seek out the latest, obscure micro-brews. Build a tight, cohesive menu of beers that your guests can’t seem to find anywhere else. Not only will the customer pay more money for these hard-to-find beers, they’ll keep coming back to see what else you’ve got. One final place we can go -- the zero-proof cocktail is having a moment right now, and is a great way to flex your creative muscle. 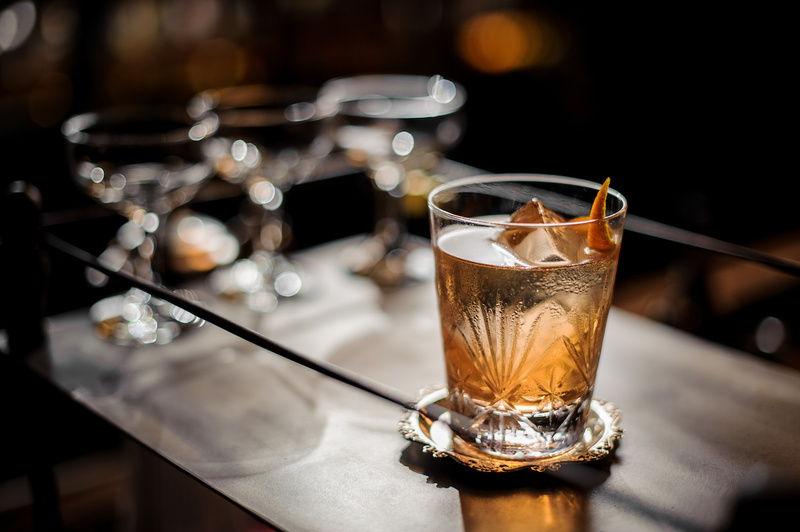 Without the pretense and tradition that comes with building alcoholic cocktails, zero-proof offers a ‘wild west’ setting for mixing drinks. In addition, alcohol-free opens your bar up to a whole new niche market, and can convert the ‘water only’ patrons into dollars on the check. Ok, so you’ve got your new menu. There’s a handful of drinks on it, a few beers, and they’re all absolutely incredible. In a million years, you couldn’t possibly choose one over the other. With a limited bar program, your bartenders might just be your greatest asset. You’ve put so much effort into creating your bar program, now keep that going into your hiring practices. Curate your staff, and bring on people who reflect your own mission. The menu might be the wardrobe of your restaurant, but your employees shape its heart and soul. Creating love for and amongst your employees doesn’t have to come with radical, foundational changes, either. Start with small steps -- incentives, and maybe even friendly sales competitions. Create a culture around the staff of your bar. Weekly tasting or brainstorming sessions, for example, are a great way for every member of the team to contribute. You have great talent at your disposal -- make use of it! Beyond the work they do, it’s important to keep your employees engaged and excited about the drinks they’re serving. If your bartenders are selling solely out of a feeling of ‘obligation’, the numbers will absolutely suffer. By keeping your staff excited about the bar, you can see very real sales increases. Continuing education is a great way to fuel this fire -- creating a culture of learning within the bar is sure to keep interest high. One of our favorite ideas is to offer tastings of different spirits -- perhaps even bring in a guest speaker. Some bars schedule brewery or distillery tours of local establishments, as a way to get their employees excited and informed about the products they are working with. The bar should feel like a team effort, where everyone is contributing and feeling rewarded. Everyone on the team should be heard and appreciated -- no employee wants to feel as if they are just ‘working for the man’, so to speak. The time you invest into the morale of your team will absolutely be paid back in full, and then some. By providing guests this incredible and hospitable crew behind the bar, we can enrich their experience and create long-lasting relationships. Running a bar program is a decidedly complicated venture -- we’ll absolutely admit that. But when all the pieces are in play, and the team is at it’s best, you’ve got something truly special on your hands. Don’t shy away from simplicity -- make it a selling point, and make it part of your identity. Highlight the focus that your bar offers, and deliver expertly on those items. If every bit of your program (no matter how few) is executed flawlessly, we say a small menu is all you really need.